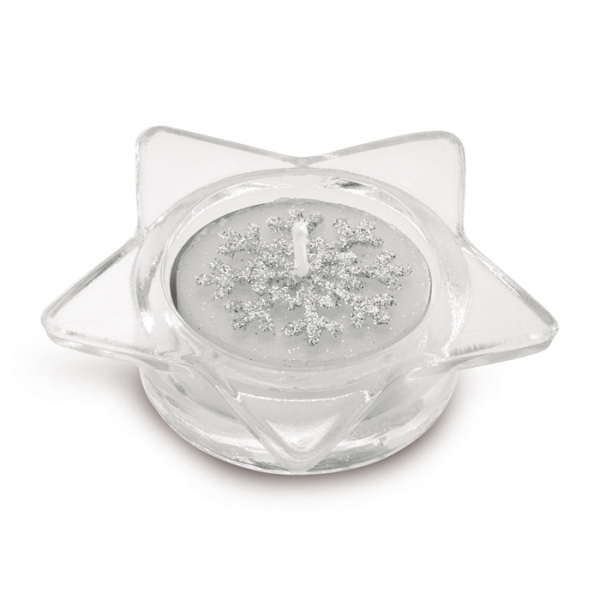 Set of 3 decorated glass candle holder in 3 different designs: star, tree and snowflake. 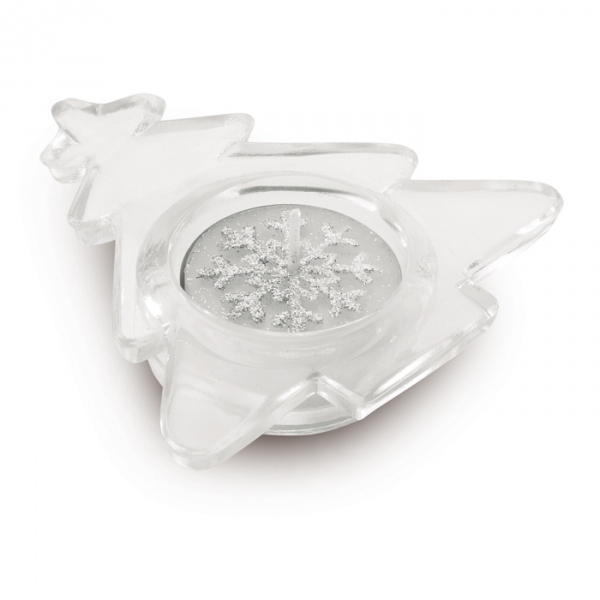 Presented in a silver gift box with transparent cover and decorative silver ribbon. 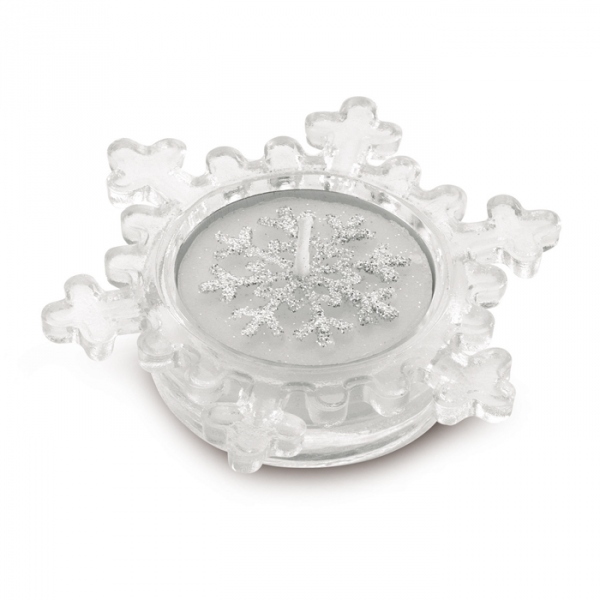 3 tealights included.